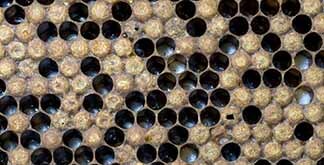 Beekeepers have been urged to look out for discoloured brood and dead larvae, both symptoms of NSW’s most serious brood disease of honey bees, American foulbrood (AFB). The NSW Department of Primary Industries (DPI) today declared October as AFB Awareness Month – a month-long campaign dedicated to educating beekeepers across the state about the fatal and incurable disease. DPI Manager Plant Biosecurity Prevention and Preparedness, Dr Chris Anderson, said the aim of the campaign is to prompt all NSW beekeepers to check their hives this October. “Any hive can contract AFB and the disease can decimate an apiary, resulting in severe impacts not just for the individual, but across our primary industries,” he said. The theme for the month is ‘Inspect, Test, Notify, Act’, prompting keepers to get on the front foot with monitoring their bees on a regular basis. “If NSW beekeepers suspect that one or more of their hives is infected, DPI offers a testing service for diagnosis,” he said. Dr Anderson said the disease is a notifiable disease under the NSW Biosecurity Act 2015, which means that once detected, beekeepers must legally notify DPI within one working day. 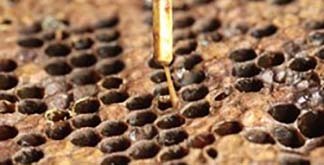 If you suspect your hive is infected with AFB, call the Biosecurity Helpline on 02 9741 4790 between 9am to 5pm on NSW business days or complete an online form at any time. AFB Awareness Month is a joint initiative between NSW DPI and the Amateur Beekeepers Association NSW​, the North Shore Beekeepers Association, NSW Apiarists’ Association and Steritech with generous support from Hunter Valley Apiaries.